What comes to your mind if I say ‘Tuscany’? Enchanting rolling green hills covered with cypresses, neatly planted vineyards, wineries full of with delicious wines, mouth-watering Italian cuisine, love, romance, history, art... Sounds enticing, right? Well, all we will be talking in this post is about these tempting things. I’m warning you; if you keep reading you’ll bring your plans into action right away if you were already thinking about having a trip. If you were not thinking, you’ll immediately start dreaming and decide when to make it happen. So there’s no escape; you’re going in any case! If you’ve got to save money or I don’t know, maybe you just don’t want to get aroused or something, I’d recommend you not to read the rest. For those still here, let’s start digging! What are we doing first? Flying. To where? Either Florence or Pisa, whatever is cheaper. Then we’re renting a car. Why? Because we don’t like neither ‘mass production tours’ nor to be dependent on anyone. We like traveling independently to see hidden spots and inhale all the magnificent views as much as we want, with no rush. There are two primary options for renting a car. You can either rent it at the airport right after you land or online in advance. In my opinion, it’s better to do it online a couple days prior upon to your arrival to avoid getting ripped off and to make sure a car is waiting. There is not any other structure besides our hotel. If such thing as heaven does exist, it’s got to be here. Then to comprehend the reality we’re going out; we see a pool, and down the hill right next to the pool we see a horse farm and as people who know me can imagine, I’m losing myself for a while due to happiness overdose. When I come back to life again I start getting information about the whole facility to share with you. First of all, if you ask why we didn’t pick somewhere more known like Florence for accommodations, it’s because I had a one-track mind to be inside of ‘the real Tuscan scene.’ and we were told that the best area is around Castelfiorentino. The idea was using this as a base and going to different cities and towns around the area. Of course we did that but since this place had such a magical atmosphere we couldn’t leave some days, stayed and enjoyed the farm environment instead. This boutique hotel is located in Castelfiorentino, which is a town in the Province of Florence in the Italian region Tuscany. When we take a quick look at the distances between here and the big cities around; it’s about 38km away from Florence and 58km from Siena, Pisa and Luca. Besides these big cities, it’s also neighbors with a bunch of other smaller towns which we’ll talk about later in this post. 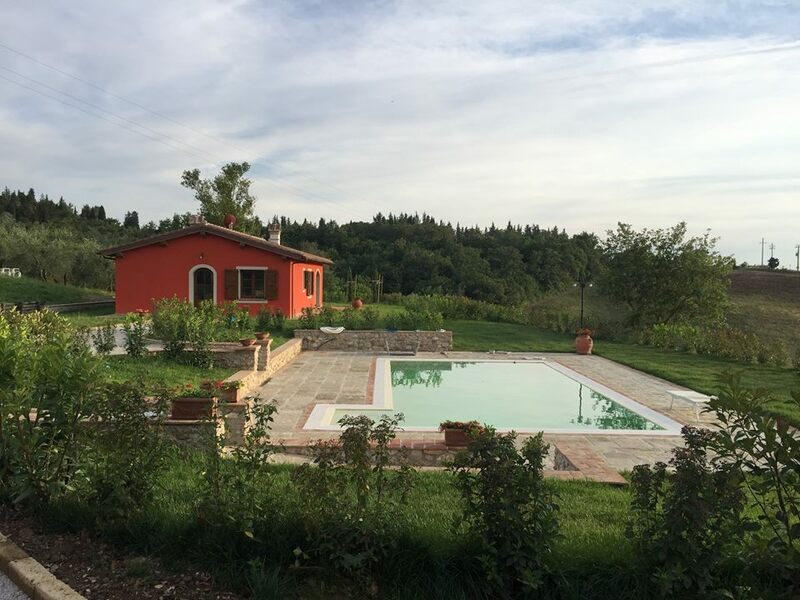 As you see, by staying at this hidden gem, you can both experience ‘the real Tuscany’ and explore all the important destinations of the region with 5 to 45 minutes of road-trips. Maramaldo is a beautiful farm, built on a plot of 50 hectares, which has a mansion from the 14th century, a boutique hotel with 7 rooms –structured as guesthouses- and a little church. It’s a treasure inherited to such a noble and generous but modest couple, Francesco and Pina from their family. The couple produce their own wine and olive oil under the brand of Maramaldo, which is only sold in Italy. 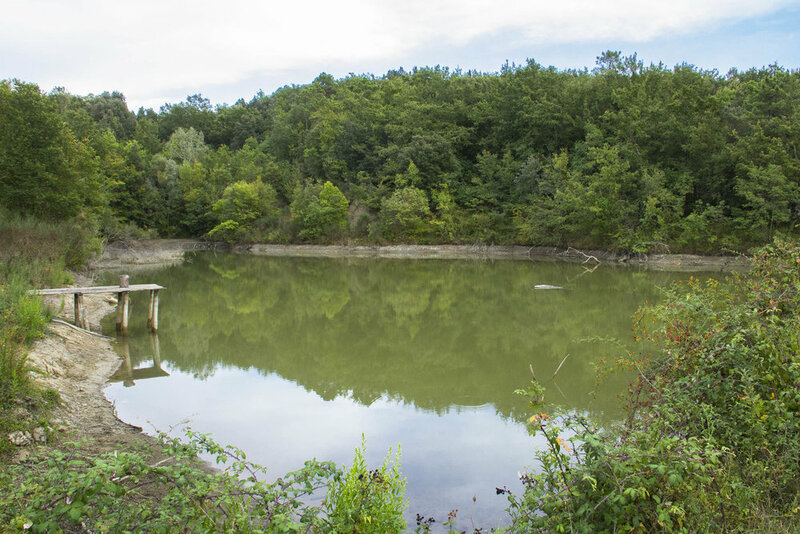 The farm also has a pool, horseback riding school and a pond for the guests to do fishing. 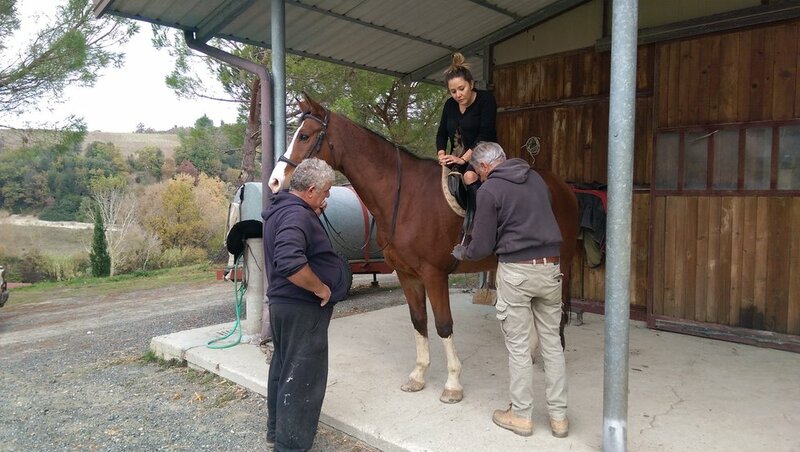 Some of the horses are for racing which actually have raced in Siena, and some of them are trained for equestrian training. Since Francesco himself is also a harness racer, it’s unavoidable to get tons of information about horse racing. Is there anything more delightful than waking up to glamorously green hills, having breakfast as birds are singing, riding horses while witnessing mother nature making her art, getting tipsy from wine-tasting and ending the day by having a kiss from the sun before it sets? I think it’s time to let pictures to tell the rest. You can get more information about the hotel from here. For reservations and any detail that you’re curious about, don’t hesitate to get in touch with me. I’m just one click away. Here is a list of the cities and towns to see with daytrips, if you can make it out of the farm! The capital of the Tuscan region. The city of history, art and romance where Renaissance was born. Probably the one, which we’ve heard about the most. An artistic sanctuary where you’ll be filled up with art thanks to its museums and galleries. The beautiful city which is famous with its horse racing called Palio that is held twice a year. A perfect spot to get lost on the streets, literally. A happy city built up inside city-walls, which also gives a lot of positive vibes. Biking around is a pretty popular activity to consider and go on top of the walls if you have time for a nice view. The city famous with its Leaning Tower probably won't take too much of your time to visit. Once you see the famous Leaning Tower, the Cathedral right next to it and walk a little, you’re done with Pisa. An ancient town located on top of the city of Certaldo, where you can go up with a small funicular. It’s full of surprises around each corner. Don’t forget to see famous poet Boccaccio’s home. A town built up inside city-walls, full of towers, famous with its medieval architecture and white wines. As you can understand from its name, a small town where Leonardo da Vinci was born. Don’t forget to see the Museo Leonardiano. Another ancient town that was once an important Etruscan center. A Medieval town with the least amount of tourists, where we got the chance to spend the most time and felt like we were on a movie set full of medieval decorations. A beach town famous with its white sand beaches. In comparison with the other spots this one is way further. You can go if only you have some extra time as we did. After talking about all these beautiful, historical places it will sound a little absurd; but I know we all have that spirit dedicated to consuming unfortunately; there are 2 main outlets to shop for Italian brands. The Mall where you can find all the top Italian brands; and Space where only Prada and Miu Miu products are sold. Please don’t lose yourself! Another vacation is over. As I mentioned above, for all your questions and reservation inquires you can get in touch with me by either sending an e-mail to info@eylulsavas.com or filling the form out below.